Selarang Camp Changi, Serangoon Road Camp, Sime Road Camp, Selarang Barracks Changi. 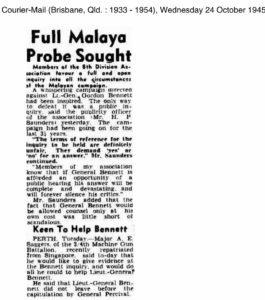 Returned from Thailand to Sime Road Camp, Changi Gaol Camp, Kranji Hospital Camp Woodlands, 2/14thAustralian General Hospital. Lt. O’Sullivan, Maj. Saggers and Lt. Mentiplay. 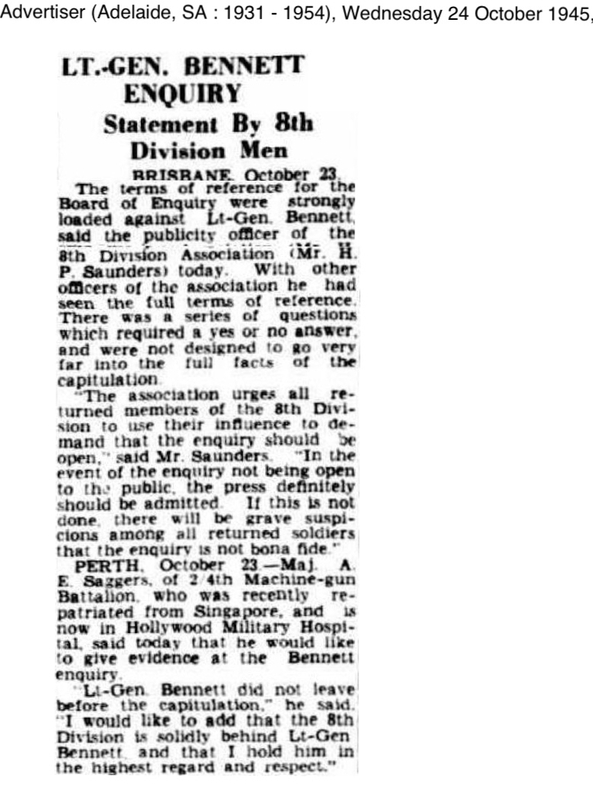 On 7 February 1942 Major Bert Saggers, Commanding Officer of ‘A’ Coy was ordered to form a Divisional Reserve Battalion for the 8th Division. 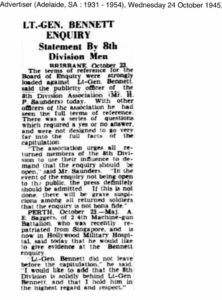 Known as Special Reserve Battalion it was to comprise two companies – ‘A’ and ‘B’, made up of Australian Service Corps personnel, and ‘E’ Company.’E’ Company was to be formed from the reinforcements for 2/4th who had embarked on 16th January 1942 at Fremantle. Bert Saggers died 28th December 1966 at Alfred Cove aged 67 years. 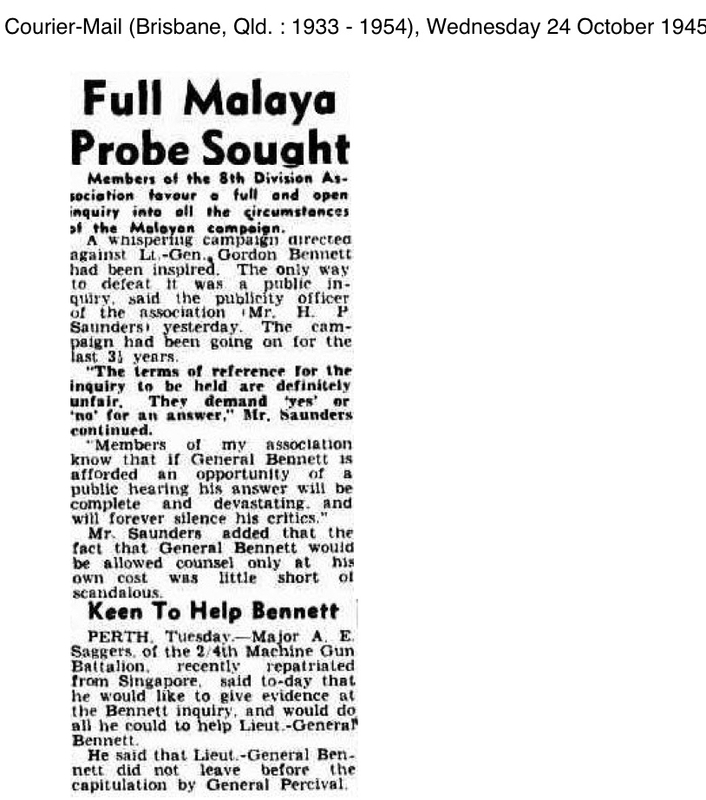 He was buried at Karrakatta Cemetery.